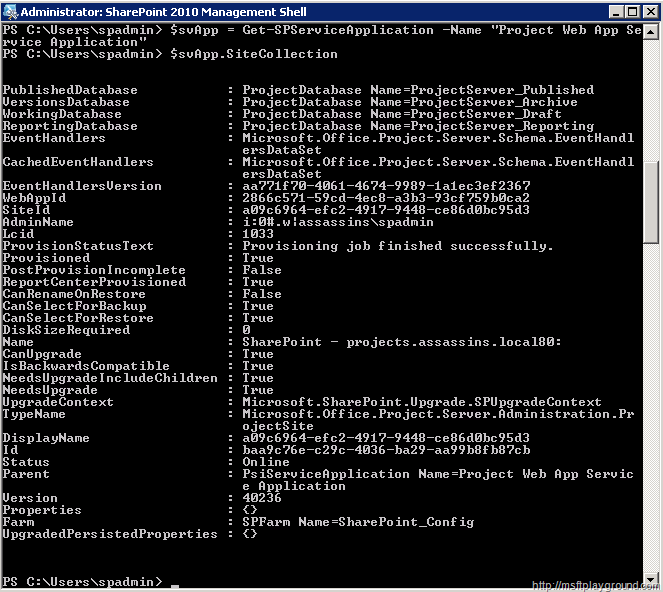 A couple of days ago I deleted my Project Server Web application because I wanted to recreate it. The first idea that I came up with was deleting the databases from the database server. After deleting the databases I retried my action but the problem was still there. 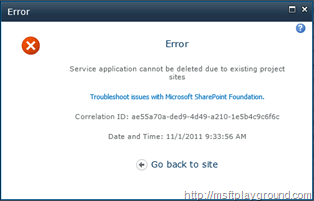 Service application cannot be deleted due to existing project sites. 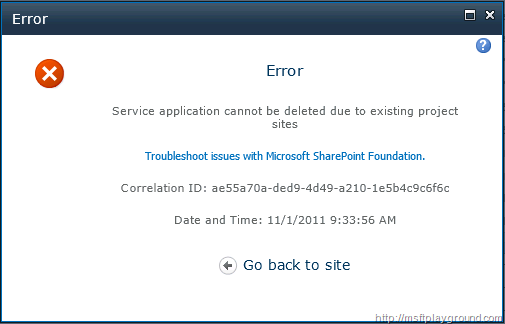 The problem is with the Project Service Application. The Project service application remains a connection with a specific site collection even If you delete the web application or the specific site collection. 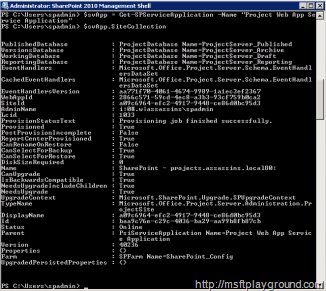 The only thing you can do to delete the connected site collection (that does not exist anymore) from the Project Service Application by using PowerShell. First you will have to use PowerShell to retrieve a collection of the sites that are referenced with the service application. Get the ID of the reference you want to remove and than remove that reference . Let take the first step, get the service application and print the site collections. $svApp = Get-SPServiceApplication -Name "Project Web App Service Application"
PreviousPrevious post:Slow file transfer from Windows Explorer view to another Windows Explorer view of SharePoint.